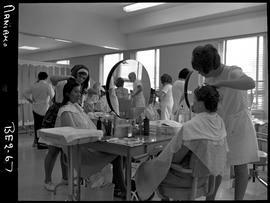 BCVS image of Beauty Culture program students learning hairdressing in a hair salon/classroom in Nanaimo, BC. 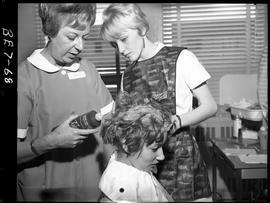 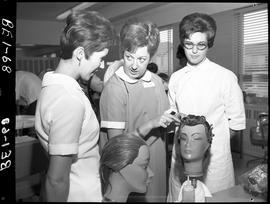 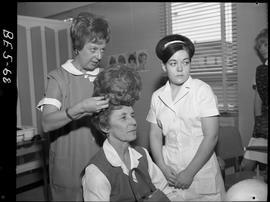 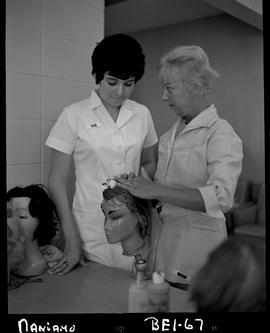 BCVS image of a Beauty Culture program instructor placing a wig on a customer in a hair salon/classroom in Nanaimo, BC with a student observing. 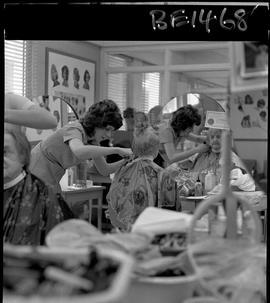 BCVS image of a Beauty Culture program instructor teaching a male student barber styling in a hair salon/classroom in Nanaimo, BC. 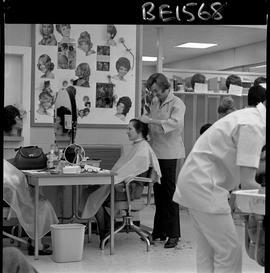 BCVS image of a Beauty Culture program instructor teaching a student hairdressing in a hair salon/classroom in Nanaimo, BC. 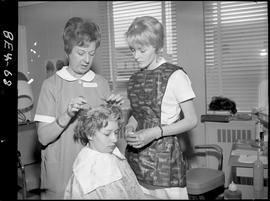 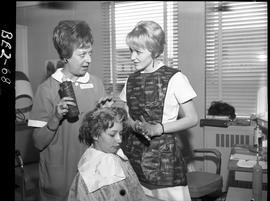 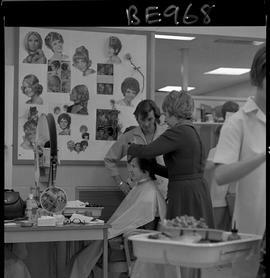 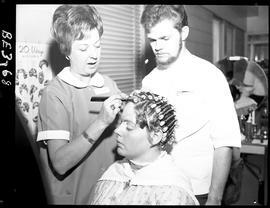 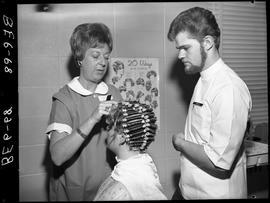 BCVS image of a Beauty Culture program instructor teaching hairdressing to a student in a hair salon/classroom in Nanaimo, BC. 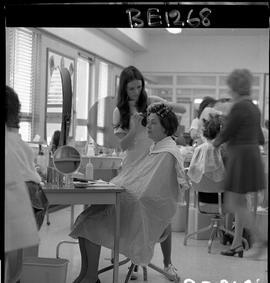 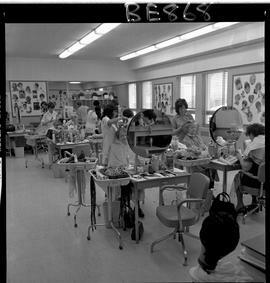 BCVS image of a Beauty Culture program instructor teaching students hairdressing in a hair salon/classroom in Nanaimo, BC. 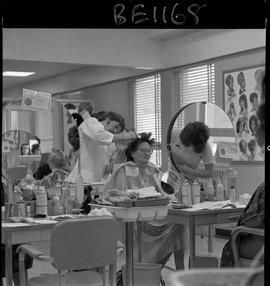 BCVS image of a Beauty Culture program student watching an instructor doing a hair perm for a client in a hair salon/classroom in Nanaimo, BC. 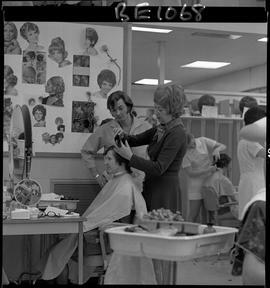 BCVS image of a Beauty Culture program students practicing hairdressing and an instructor teaching in a hair salon/classroom in Nanaimo, BC. 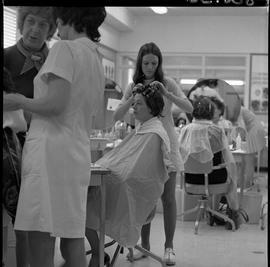 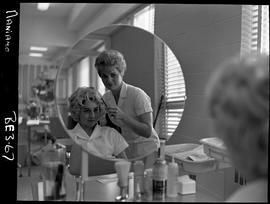 BCVS image of a Beauty Culture program students practicing hairdressing in a hair salon/classroom in Nanaimo, BC.